I dug into this book with no expectations. I just wanted to see what I could learn. And as someone with a background in both Bible study and psychology, I was also curious how the author was going to tackle this subject. 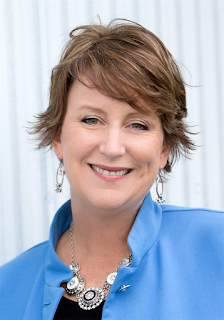 Join Shannon as she shares what she has discovered about her own control struggles and about God from studying seven Control Girls in the Bible. Whether it was Eve's desire to know instead of trust, Sarah's inability to wait for God to move, or Rebekah's controlling hand on her family's future, each of these women's stories contain warnings and lessons for us today. I decided to read this book because as a perfectionist, I know that at times I have control issues. I've learned through the years to work through them, which helps, now that I have teenagers to parent, but there's always room for improvement. So I dug into this book with no expectations. I just wanted to see what I could learn. And as someone with a background in both Bible study and psychology, I was also curious how the author was going to tackle this subject. Well, I found this book to be a gem. First, I found that I was able to relate to the author herself. She was brutally honest and included descriptions of what she calls "ugly scenes" of controlling behaviour, which she admitted were very hard for her to write. But these anecdotes drove the point home in many instances. As a reader we want to know that the author understands well the topic she is writing about. So I appreciated her honesty. I liked the book's layout. It was easy to read, formatted as a Bible study aid with questions and scriptures at the end of each lesson to read and meditate upon, many of which were my favorite ones. This is the kind of book you need to take the time to read with pen and highlighter in hand. I looked up and wrote out many of the scriptures directly in the book so that in future I could easily refer to them when looking through the book again. But best of all is that the author used God's Word to make her point. Having studied the Bible for the last 27 years, I knew all the scriptures she referred to and was pleased with their application. And even though I was familiar with them, I truly appreciated re-reading and meditating on them with the goal to applying the Bible's counsel in regards to being controlling. One can read the same scripture at different times in one's life and see it in a different light in view of one's life experience. Finally, using the example of Biblical women who displayed controlling issues as lessons for us to learn from was brilliant. After all the Bible itself says in Romans 15:4: "For all the things that were written beforehand were written for our instruction..." and in 1 Cor 10:11: "Now these things happened to them as examples, and they were written for a warning to us..."
Often women who like to control equate that with running an organized and efficient household with each member doing exactly what they's supposed to be doing. That's what I thought for the longest time. But it's not true. Doing this requires skill and insight, not control over what others do and how they do them. 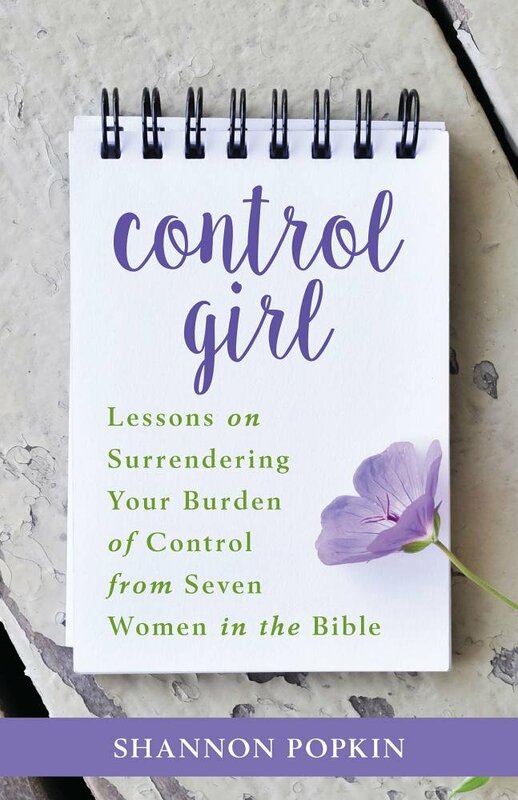 If you are a Christian woman who struggles with control or someone who is willing to humbly look into Bible scripture for help with control issues, this book is just what you need. If you have an open mind, a willingness to make changes and the understanding that God knows us more than we will ever know ourselves, then you will greatly benefit from reading this book. The author's ultimate message that true family happiness and peace comes from following God's advice rather than being a control freak is right on. To read more reviews, please visit Shannon Popkin's page on Litfuse. Disclosure: Thanks to the publisher and Lifuse for sending me this book for review. I was not compensated in any other way, nor told how to rate or review this product. Are you trying to stay in control of your quest for peace, joy, and security . . . and you're exhausted? Shannon Popkin's debut book, Control Girl, is a must-read for anyone with a heart that craves control. Enter to win a prize pack that will help you give up your Control Girl tendencies.